It’s a table where you need it, when you need it. Out of the way when you don’t! In rooms, halls, conference areas or anywhere space is at a premium this flip-out table will become indispensable. 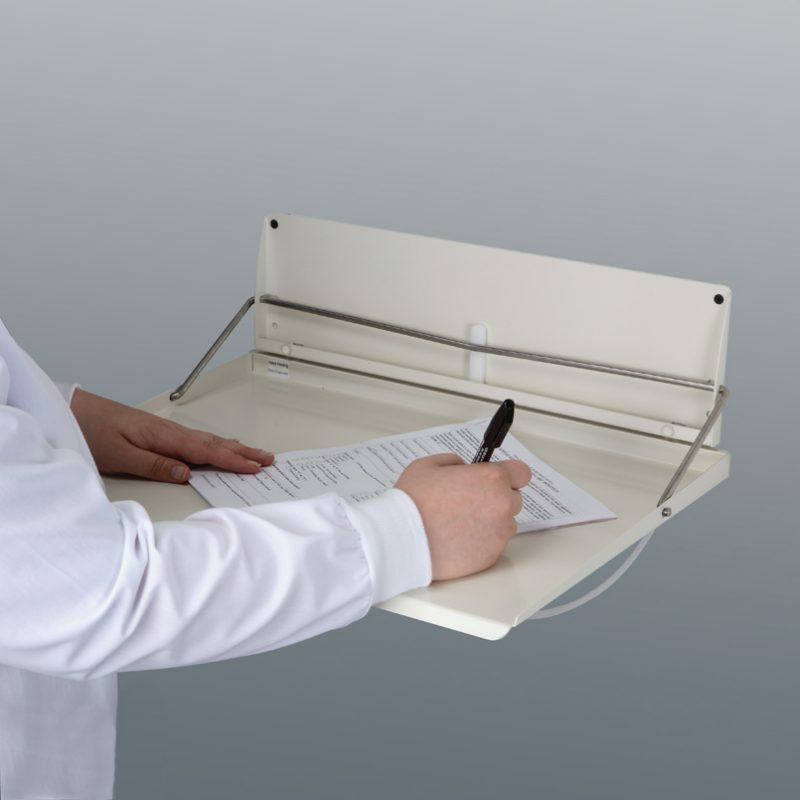 The handy table is lowered when needed and flipped out of the way within 1″ (25mm) from the wall when not in use. The generous table is perfect for positioning phlebotomy and first aid supplies while caring for patients. It’s fantastic for charting too. Hugs the wall for out-of-the-way convenience. With a clearance of only 1-1/8″ (29mm), it’s great for hallways and other high traffic areas where a table is handy but too cumbersome. Stainless steel surface, hanger and slides can be cleaned by all standard methods. Only four screws (not included) need to be anchored into your wall for installation.